The Student Senate meeting of Feb. 5 began with the formal admission of undergraduate student Fran Woodword to the Student Senate. A spokesman for the University of Maine College Republicans petitioned the Senate for his club’s reactivation. The Club had, according to the spokesperson, been inactive since September of 2018 because of a failure to properly submit paperwork. The spokesman told the assembly that this club “has been around for a long time,” and now has between 25 and 35 active members who attend weekly meetings on Thursdays. He also mentioned that club members participate in events across campus and host events for interested members of the student body, such as the upcoming “lunch and learn” series, in which pop culture and contemporary economic and social issues will be discussed. Sen. Cameron Bowie, who had previously been the club’s secretary, voiced his support for the club’s reactivation, which subsequently passed by a clear majority. A spokesman for the Athletic Trainers Student Organization thanked the Senate for funding his club’s trip to the Eastern Athletic Trainers Association meeting from Jan. 11-14 in Valley Forge, Pennsylvania. Six students and two faculty advisors attended the meeting during which the club’s president placed second in her conference. The president was then invited to a national competition this summer in Las Vegas where she will represent the entire region of New England. Student Life Advisor to Student Government Lauri Sidelko announced the launch of Eduroam, the University’s new WiFi service. Sidelko said that although the setup is a “multi-step process,” it will be a significant improvement in WiFi experience, and she encouraged senators to recommend the new server to their fellow students. President Logan Aromando began his report by mentioning that he would soon pass around finalized timelines for the executive elections. He told senators that the 2018 year’s end financial audit report had been approved and that he would hand out copies for their reviewal. The search is continuing for a new vice president of financial affairs, he said, and possible replacements will be interviewed in the near future. 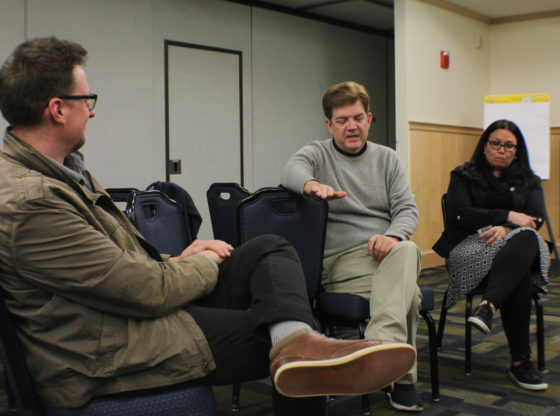 Aromando told the Senate that his first meeting with Vice President for Student Life and Dean of Students Robert Dana was scheduled for Monday, Feb. 11. Aromando concluded by once again encouraging senators to attend the all-expense paid Student Government Conference at the University of Maine at Presque Isle on April 13 and 14. Vice President Bentley Simpson alluded briefly to the Feb. 16 and 17 spring Senate training which, he and Armando said, was mandatory for all the senators. He told the senators that this event was contingent on their appearance, and that if a considerable number of senators are unable to attend on either of those days, he will be forced to reschedule it. He finished his report by emphasizing the importance of the spring training, and advised the senators to complete it as soon as they possibly can, since it serves as an invaluable educational opportunity. As the position of vice president for financial affairs is currently vacant, President Aromando acted in an interim capacity. Aromando announced $141,697 in unallocated funds. $1,635 was apportioned for the Traditional Dance Club, $600 of which Aromando had appropriated from his executive budget. 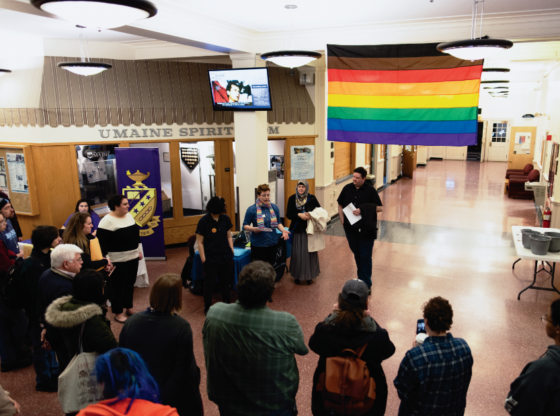 The meeting’s consent agenda totalled $654 for the UMaine a cappella groups and included three minor resolutions: job descriptions for the student council, two executive cabinet appointments and the 2018 year end auditor’s report. Vice President for Student Organizations Taylor Cray said that the first meeting of the Student Organizations Committee was held the previous week and went well. Two organizations came in for reactivation: the College Republicans and the Muslim Student Association, who will formally ask to be reactivated at the next GSS meeting. She mentioned that advertising for student organizations is possible and encouraged senators to send any ideas to her. She concluded by announcing that the Club of the Week Award had returned and that the week’s recipient was the Philosophy Club. Vice President for Student Entertainment Corey Claflin stated that Spring Concert planning is underway. He told the senators that there are meetings scheduled for the coming future that will address different aspects of the concert. Orono Town Council Liaison Bowie mentioned that he would be attending the Orono Town Council meeting the following week. He also mentioned, as the head of the Committee for Political Activism, that he had created a flyer campaign to promote civility and dialogue among students and said that he would be distributing the flyer to each political party on campus. Sen. Harrison Ransley noted that changes had been made to UMaine’s confidentiality training. A spokesman for the Inter-Fraternity Council said that a new fraternity, Sigma Pi, will be colonizing on campus on Feb. 9. He also told the Senate that the All Greek Meeting will be on Wednesday, Feb. 13 from 6-8 p.m. in the Collins Center for the Arts. President Aromando handed out packets detailing the 2018 auditor’s report. He mentioned that the financial audit of 2018 found the Student Government to be in compliance with everything except a donation totaling $22,000 dollars, which is the office space that the University had gifted them. He said that the auditors wanted them to list the donation, for tax purposes, as an in-kind donation. The audit, he said, is done yearly and was not related to the payment of tax attorney Dan Pittman.